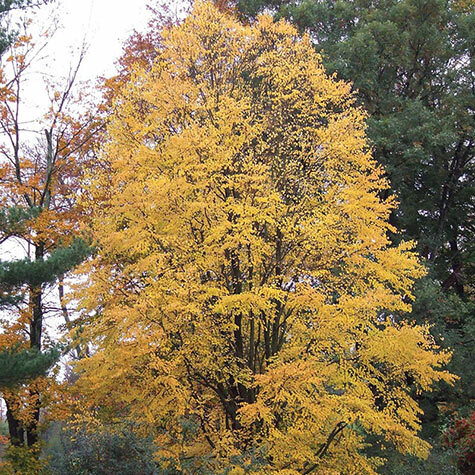 Katsura Tree | Gurney's Seed & Nursery Co.
Delicate, heart-shaped foliage keeps changing; leaves emerge bronze to reddish purple, turn blue-green in summer and yellow to apricot in fall. Big surprise comes last—sweet, spicy aroma that's compared to ginger cookies, caramel and cotton candy! 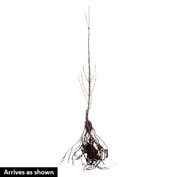 Quickly grows 40-60 ft. in height, doing well even in clay soils. Zones 4-8. Spacing: 20 - 40 feet. Depth: Plant so that the stain on the trunk is at the soil level. Be sure the roots are in the soil. Spread: 20 - 40 feet. Foliage: Delicate heart-shaped leaves emerge bronze to reddish-purple, turn blue-green in Summer and yellow to apricot in Fall. 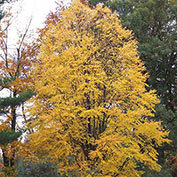 Form: Pyramidal when young; full and dense; great variability with age; stiff arching branches. Soil Requirements: Well-drained, moist fertile soil is preferred, but will tolerate a wide range of soils including clay. Growth Rate: Moderate to rapid growth rate. Comments: Katsura's unusual loveliness is wonderful to behold. The big surprise comes last - sweet, spicy aroma that is compared to ginger cookies, caramel and cotton candy.